The Bruce James Orchestra is excited to be back at beautiful Pitt Meadows’ Spirit Square ( at Civic Centre) this Summer 2018 on Wednesday nights July 4-August 23 (7-9pm) for our free annual concert series! Free event. Kid, dog and dancer friendly! We hope you can make it out! 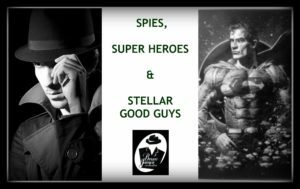 private parties … and more! 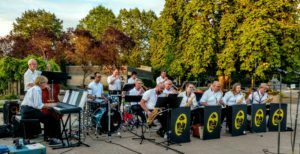 We come equipped to provide a small jazz combo, solo piano, solo guitar, Master of Ceremony services in addition to the full Big Band with Vocals. We can also provide full affiliate DJ service for your event. 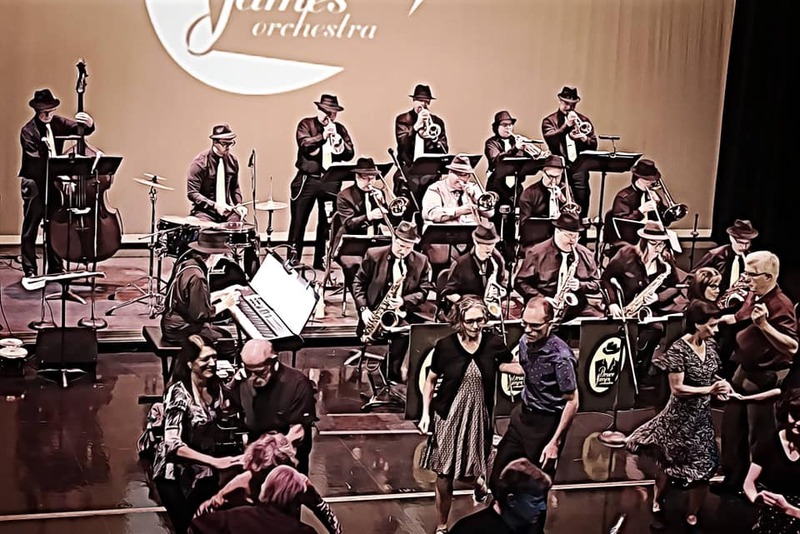 The Bruce James Orchestra has a long history of providing exceptional big band/jazz/dance band music in the Tri-Cities/Lower Mainland/Fraser Valley; we have been performing all over the Lower Mainland since 1999. We perform a variety of big band music and are adaptable to all types of audiences/performance situations. We are a band that exudes high energy in our performance, incorporates rehearsed choreography in our selections, and is an ensemble which prides itself on excellence in both music, and showmanship. If you are looking to add flare and style to your next event with exceptional music, we want to hear from you! … for an amazing Summer 2017 season! 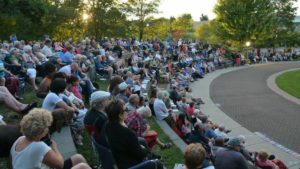 With over 2000 people in our audiences over eight public performances in Pitt Meadows’ beautiful Spirit Square, this has been a record year in attendance for our Summer Serenade Concert Series! 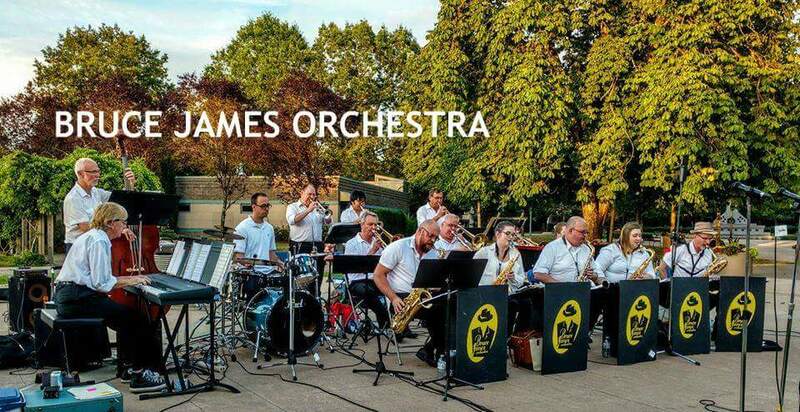 The Bruce James Orchestra is honoured to have the opportunity each year to play in our own community, and is elated that big band music continues to be enjoyed, and that our event grows in attendance each year! Thanks to everyone for your attendance and support of local live music. Thanks also to Mayor and Council of the City of Pitt Meadows for their support, and to Susann Sigmund and the Arts, Culture and Heritage Department of the City of Pitt Meadows for all their assistance and support to ensure our summer season in Pitt Meadows was a success. We look forward to seeing you all next summer … if not before! 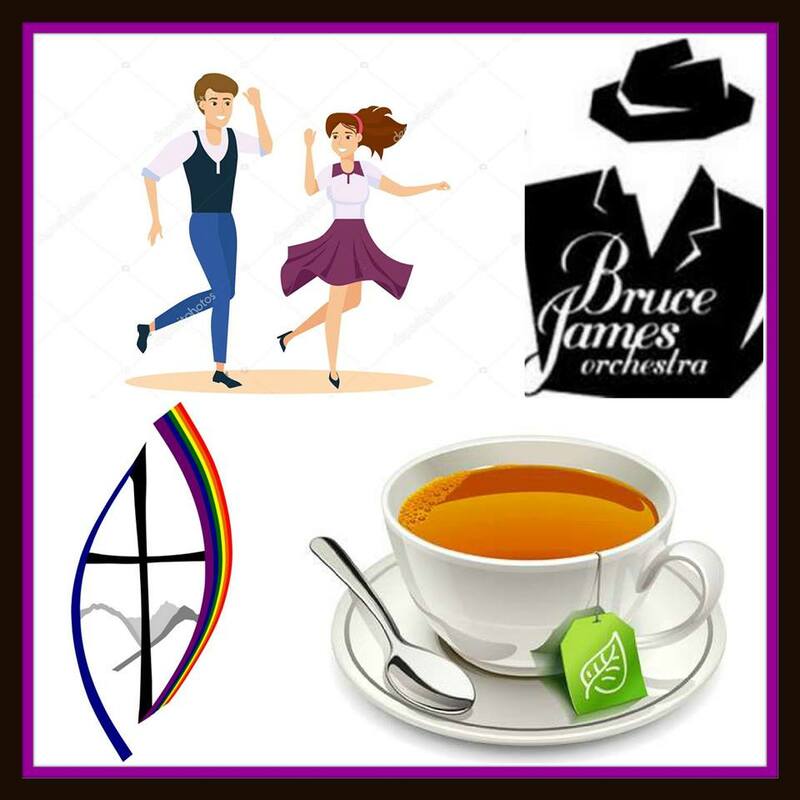 Bruce – Band Leader – on behalf of the Bruce James Orchestra. So… what do James, Peter, Robert and Austin all have in common? They are spectacular … and spectacular enough people have written songs about them! 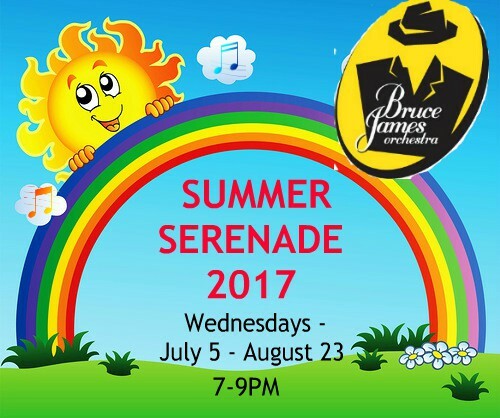 Summer is coming … and so is SUMMER SERENADE 2017! 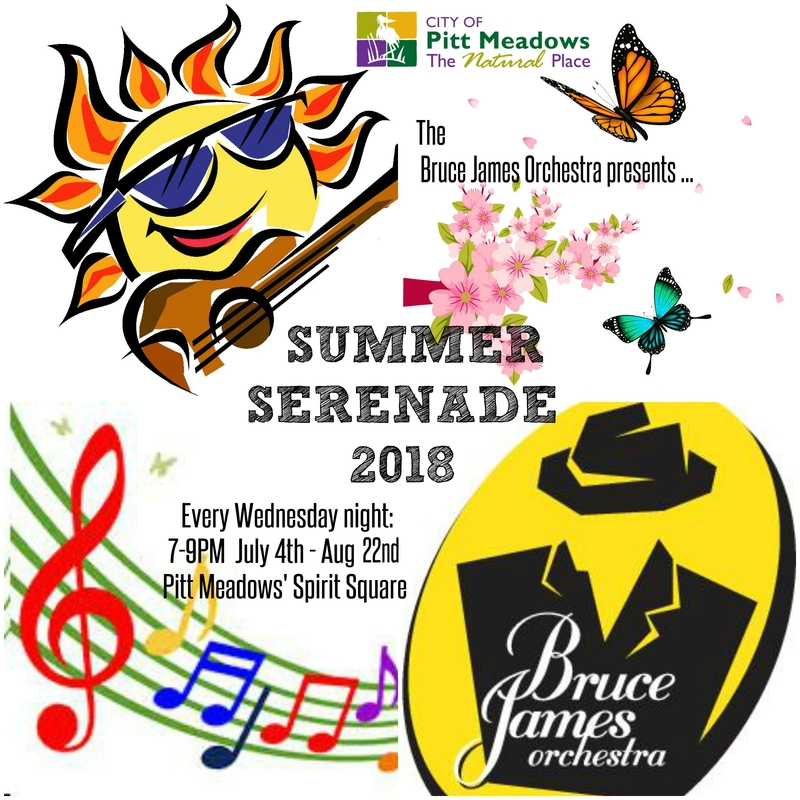 Bruce James Orchestra is excited to be back at Pitt Meadows’ Spirit Square this summer to bring you FREE LIVE BIG BAND MUSIC Wednesday nights (7-9PM) in July and August (weather permitting). 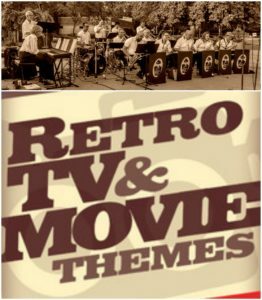 Bring a lawn chair, blanket, some snacks and all your family and friends to enjoy music from the hottest band in the Tri-Cities! 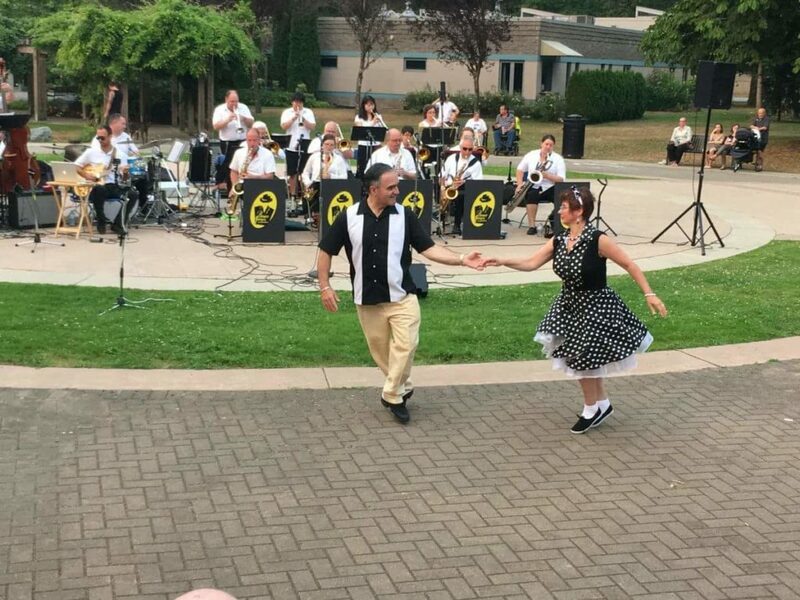 Don’t forget your dancin’ shoes! We look forward to seeing all our friends and fans this hot summer for some cool jazz! 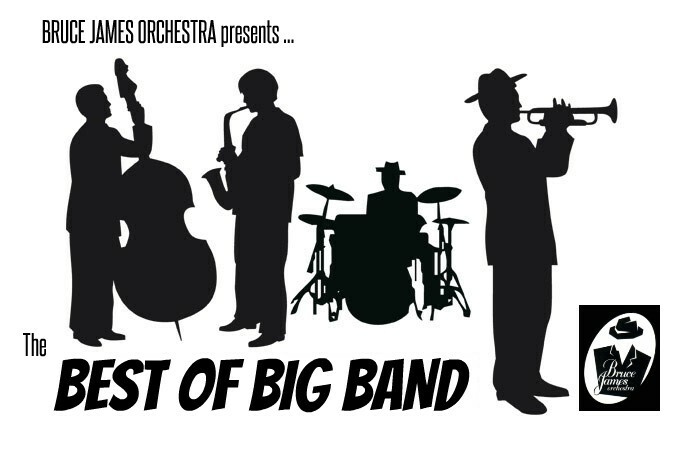 This is Big Band at it’s Best! Hey there friends and fans! BJO is now in the process of booking gigs for late spring, summer and into fall 2017 (and beyond!). Don’t miss your chance to have the band out to your event! E-mail event/rate inquiries to bruce@brucejamesorchestra.com or call 604-460-8329.